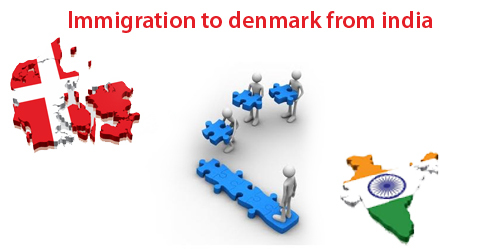 Immigration to Denmark from India has great demand. Denmark is identified as the safest place in the world with low crime rate. So, it is becoming the choice destination for many willing migrants across the globe. Facilities for education, transportation and health offered by the nation are also good. It is well known that the cost of living in Denmark is high. But, people who will migrate to Denmark will be able to sustain easily because of the nation’s welfare system, which offers concern and helps the immigrants and the citizens of the country so any one can Immigration to Denmark from India. ​​​Denmark immigration interests most of the Indians because of peaceful life, opportunity to earn more, enjoy European standard of life and many more. 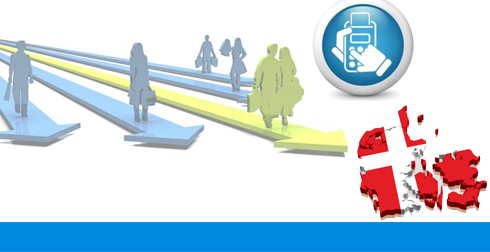 Resident permit under Denmark Green card scheme is available as an option for the Indians to find a job in Denmark and permanently reside in the pattern of Denmark immigration points calculator. To gain a residence permit under Denmark’s Green card scheme, the applicant has to gain minimum points of 100 points against the Denmark immigration points calculator test factors including age, education, language, experience and adaptability. How to get Denmark citizenship? As an immigrant in Denmark, one will be eligible to apply for Denmark Citizenship after residing in the country for 9 years. As a second requirement, the applicant has to let go his/her present citizenship for Denmark Citizenship because the government does not allow anyone to have dual or multiple citizenship. Assess oneself against self dependency which means that one should not be provided with social benefits and even if provided, the availed duration of the benefits must not exceed 6 months in the previous 5 years. Additionally, one has to ensure that the there are no debts owed to the Tax Authority and no illegal records. Once the applicant has satisfied the eligibility requirement as mentioned above, he/she has to go through a Denmark citizenship test, which happens twice in a year, generally in the months of June and December, and the applicant has to get qualified through the test to gain Denmark citizenship. ​To know more information please fill Opulentuz enquiry form one of our Denmark immigration consultant will get back to you. For more updates follow us on Official Facebook Fan Page.